Ever heard about the wedding distress disorder? Please forgive our unsolicited advice, but we need to warn you about the potential bridezilla-style meltdowns. The one thing your family doesn’t expect is a bride, who looks less than pleased, is super awkward and perplexed. Of course, you want to have fun and look nothing but immaculate. But while you are trying hard to make every molecule of your destiny textbooky, here are a few don'ts before the special day. The world knows you are smart, focused and energetic (let’s hope your husband-to-be thinks at least). But you are still one woman. If you’ve been waking up to the wedding planning details, ignorantly brushing aside even yourself, it’s time to take a deep breath. There is something exceedingly dreadful about running out of the shower and ending up with undone invitations and heads uncounted. Just do yourself a big favour, and accept your friends’ kind offers to help. We get it. You are getting married, and there’s no place to hide. That doesn’t mean people have to see your projectile vomiting all over the dance floor. A small glass of champagne is just about acceptable for a sophisticated pre-wedding brunch or party. If you are the colourful fish in the sea (we mean, drink like a fish), maybe 2-3 glasses should be enough. Who wants to see drunken photos of the bride? Your family is never going to get over it for the rest of their lives. Most probably, you are going to have all your BFFs and cousins stand by you for your wedding vows. These sisters, cousins, best friends, future in-laws sweetly gather around you, wearing outfits you picked out, helping you pin up your bustle and holding your flowers or pallu. You need to resist the temptation to act like a commando and expect them to shell out for expensive outfits, run inconsequential errands and attend countless all-for-you meetings with the wedding planners. A little kindness is way better than a pashmina shawl or monogrammed trinket. Yeah, we are women, and we need our dose of gaucherie at all ages. However, aren’t you done with experimenting with zany hair colours, hairdos, weird-smelling creams and that fancy little salon in your neighbourhood? If there's one day you might want to leave things up to the professionals, it's definitely your wedding day. How ridiculous is it to try and fix the scar on your face right before your wedding? It hurts us to say this (you know how unplanned we love to be), but it’s better to play it safe with beauty, brides! The craziest thing to do, isn’t it? You are unlikely to make this mistake, but many women surprise themselves. 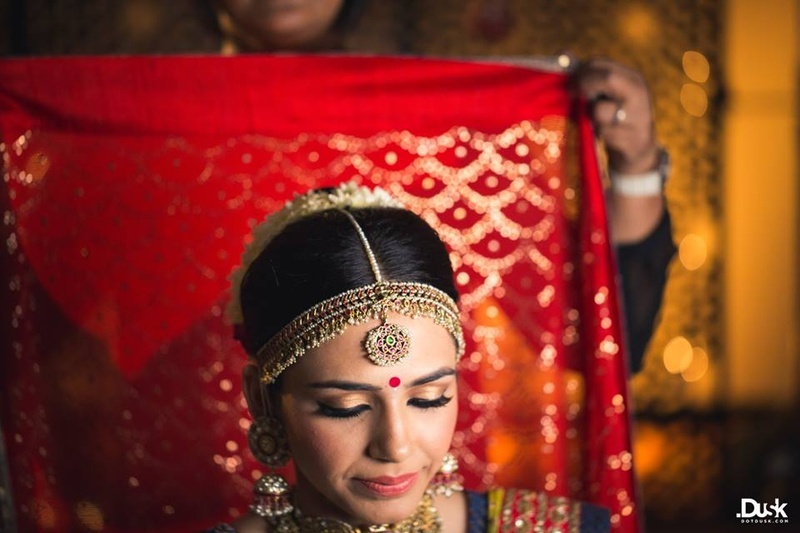 Brides get their head stuck deep into the shoe and mehendi designs, replacing the regular TV and pizza time with dress fittings. Why not put aside the bridal to-do lists and chaos, and find time to give him a tight hug? This major life transition period requires a lot of communication and yes, intimacy. The situation could be treacherous. There will be times when your friend is eyeing a Nita Lulla or Tarun Tahiliani outfit, and you are buying from Meena Bazaar. Someone else is serving Dom Perignon, and you’re having sparkling wine. Change that expression, get over it and pull your act together. You'll thank us later, we swear!